The Solo Soccer Trainer offers powerful and efficient solo conditioning. 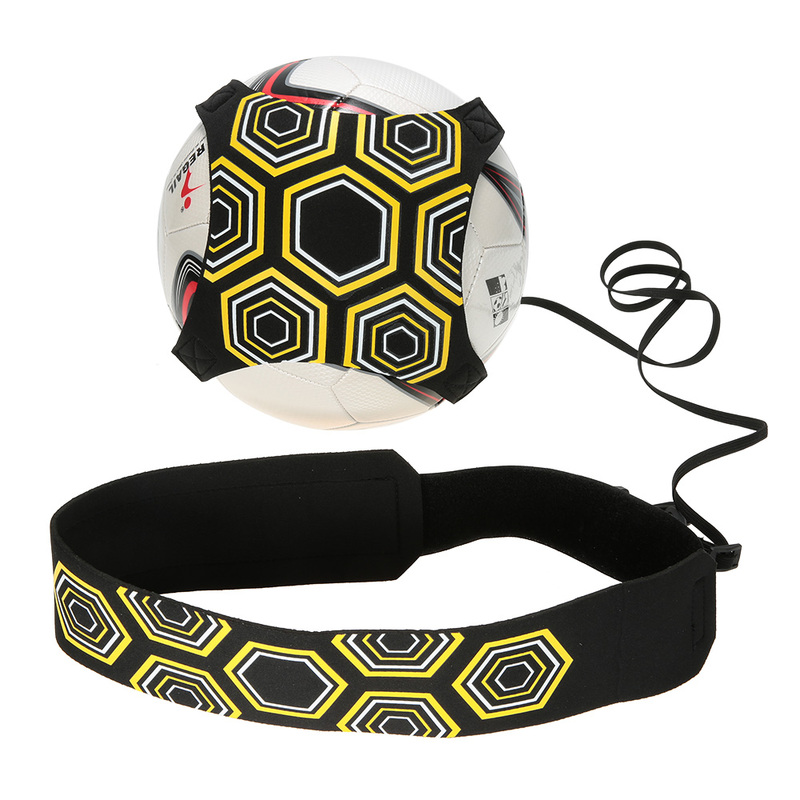 This hands-free soccer trainer lets you maximize the number of touches without time wasted chasing the ball. Fit for field players and goalies, the trainer helps athletes build skills in shooting, passing, receiving, juggling, throw-ins and more. Wrap the sleeve around your waist and the glove around your ball, and you’re ready for the ultimate solo practice. 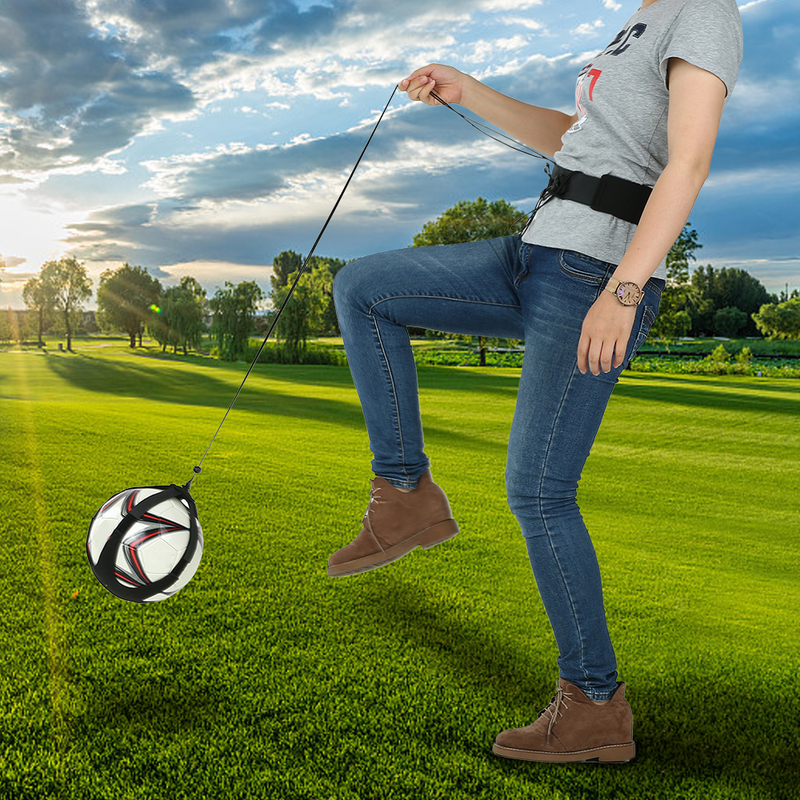 This soccer trainer is designed for solo soccer training. 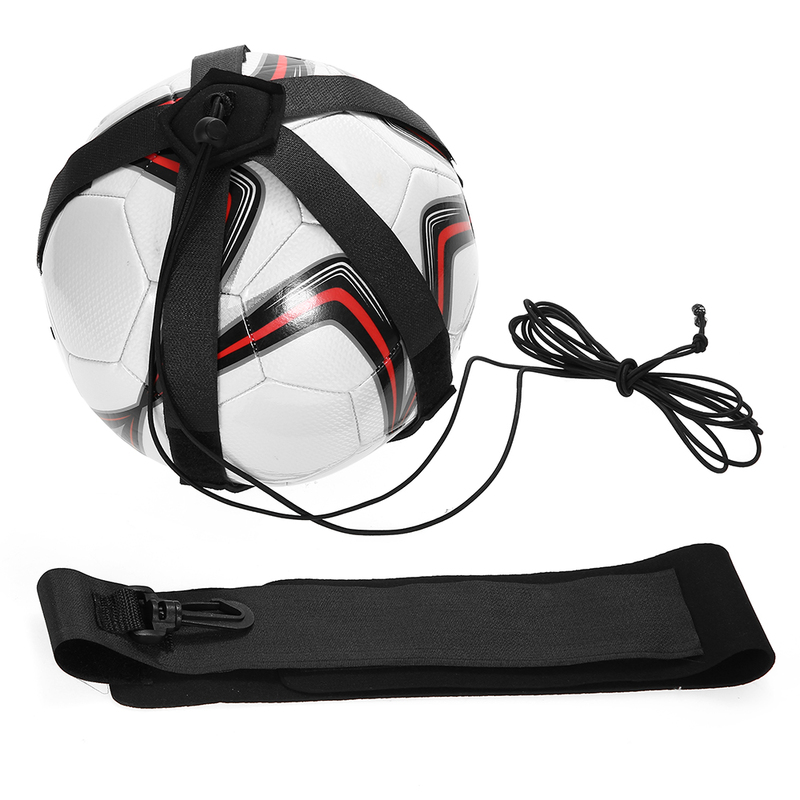 It can improve your skills to control a ball, shooting, passing, receiving, dribbling, throw-in, goalkeeper skills. 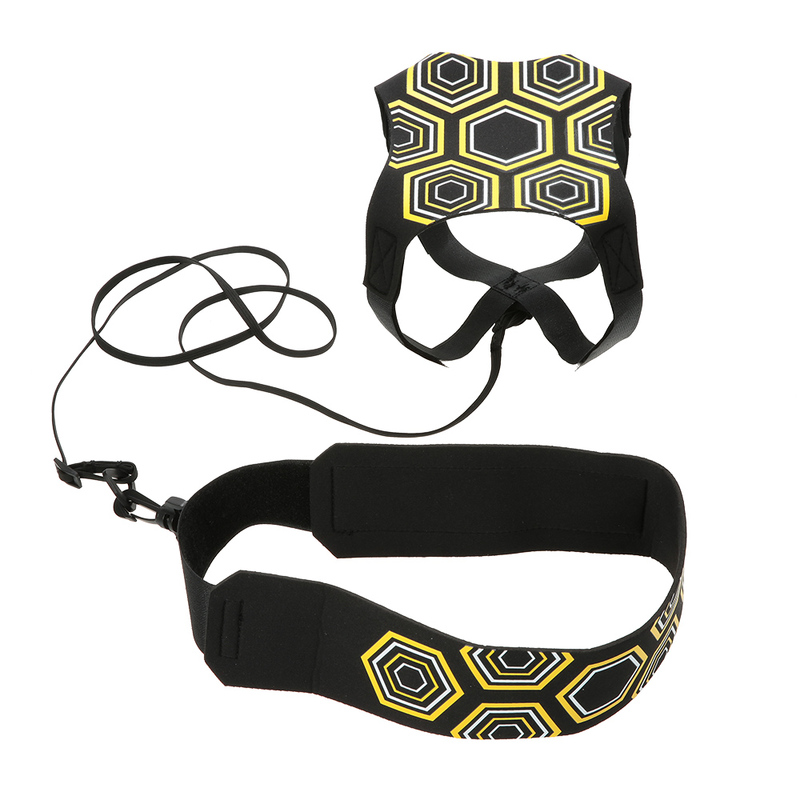 It is suitable for players of all levels, forward or goalkeeper alike. 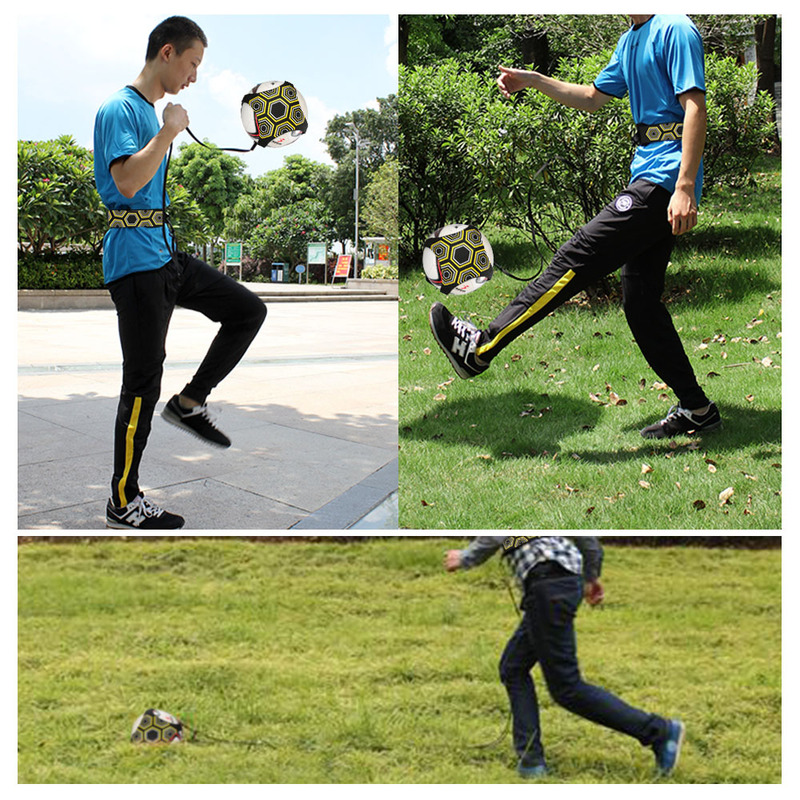 Solo soccer trainer, designed for solo soccer training, give you the max touches. Improve ball control skills, shooting, passing, receiving, dribbling, throwing, etc. 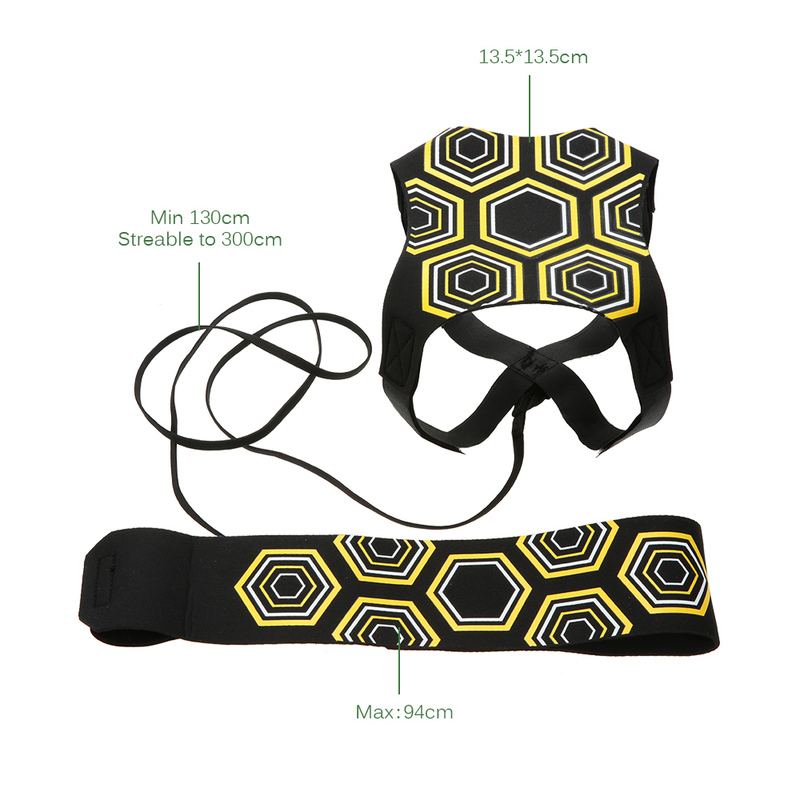 Adjustable belt with fastener tape to fit most players. 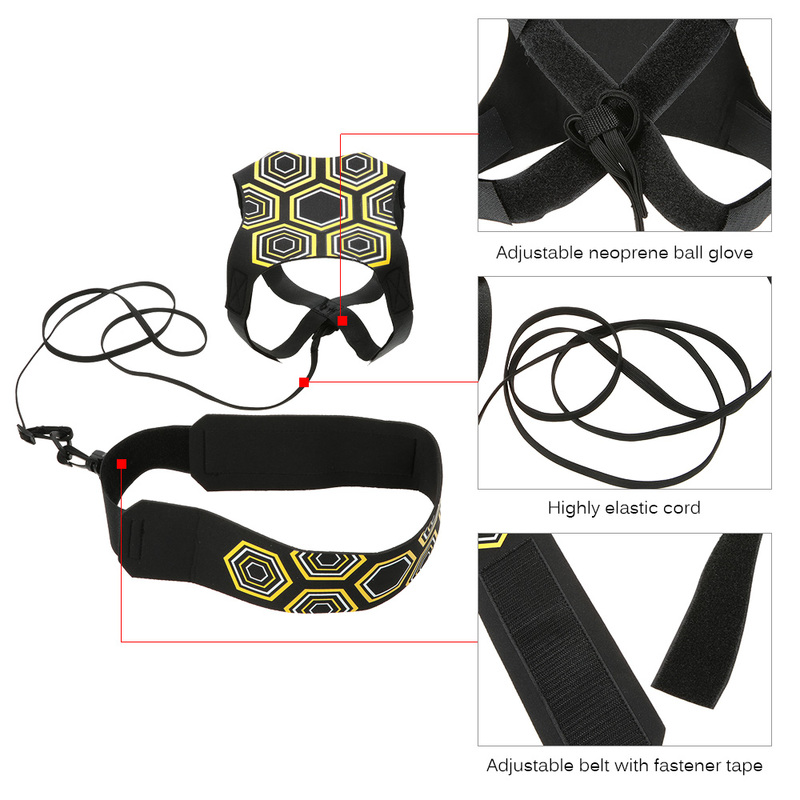 4.3′ highly elastic cord stretches up to 10′. Adjustable neoprene ball glove fits size 3, 4, and 5 soccer balls (not included).